Last week, I shared with you the startling fact that melanoma rates are on the rise among seniors. 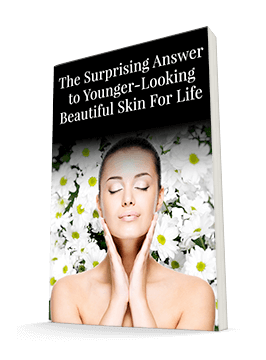 The facts showed how important it is to take good care of your skin regardless of whether you're a senior citizen or a senior in high school. I also shared with you some dietary changes you can make to help fight cancer-causing free radicals. But even if you eat a very healthy diet and use sun protection regularly, it's still possible for your skin to sustain damage and for skin cancer to occur. That's why it's vital that you know how to check your skin for suspicious spots and get to a dermatologist immediately if you notice any red flags. Unfortunately, according to a new study published in the Asian Pacific Journal of Cancer Prevention, people just aren't taking the time to do this. The researchers interviewed nearly 5,000 web users in Poland and found that only 60% of respondents had ever performed a skin exam. What's worse, only 18.4% claimed they performed such a check monthly. Since one of the hallmarks of skin cancer is a spot that changes, it's vital that you have a baseline of what your skin looks like, even if nothing is happening. To perform a skin check, remember your ABCDEs. A is for asymmetry. B is for irregular borders. C is for inconsistent or very dark color. D is for diameter greater than six millimeters (about the size of a pencil eraser). E is for evolving — anything that changes should be seen by a dermatologist right away. This gravity-defying cream contains over 30 ingredients, including an Essential Fatty Acid Complex, Sandalwood and Barley Extracts to help rehydrate, reduce puffiness, and help minimize the appearance of lines and wrinkles.. Examine your skin regularly, checking to see if any spots meet even one of these criteria. If so, make an appointment with your dermatologist immediately. 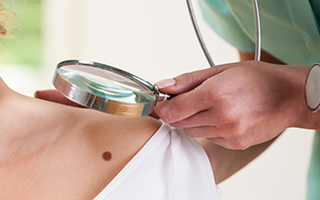 Melanoma can be very aggressive; it's vital that you identify it and begin treating it as quickly as possible. Even if everything looks good, it's best to get a professional opinion at least once a year. Sometimes doctors can spot things we can't, and it's good for your doctor to have a baseline of what's normal for you as well. Don't take chances with your health. Set a reminder on your calendar to ensure you do your check once a month. You can even take pictures of any moles you may have so that you can have a better idea of whether or not they change. And, of course, continue to avoid doing further damage. Make sure you use your sunscreen and eat a healthy diet. That will help you keep those visits to the dermatologist to a minimum. Finally, there's one more thing you need to do to protect your skin. Get your vitamin D3 level checked. Research has associated low levels of vitamin D with increased risks of certain types of cancer. These include colon, breast, ovarian, prostate, and skin cancers. Vitamin D is remarkable in that it inhibits proliferation of skin cancer cells. If you have a genetic tendency toward skin cancer, it is even more important that you test your vitamin D levels. If you are low or low normal, consider upping your vitamin D intake to 5,000 IU five to 6 days a week. Take your D3 in the morning, as for some sensitive people it could potentially impact your sleep. You will probably need to take vitamin D even in the summer — perhaps less if you are getting 15-20 minutes of sun exposure daily. Yes, we get more sun in the summer. But sunblocks (such as zinc or titanium oxides), which are important in protecting the skin from prolonged sun exposure, inhibit our skin from making vitamin D.